I just told the kids to get ready to go out and run some errands. 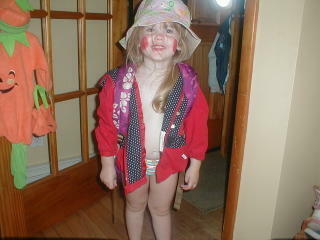 This was the outfit Kelli came up with. She actually took off a really cute dress to don this outfit.